Hi Friends: There is a new challenge today over at the Crafting When We Can Challenges Blog, where the current theme is Flowers. I am using flowers in 2 ways: my digital image that has flowers and I added paper flowers on the bottom of the card. Please visit our fabulous sponsor this week, Sweet Escape Digis, to see all of their wonderful products! 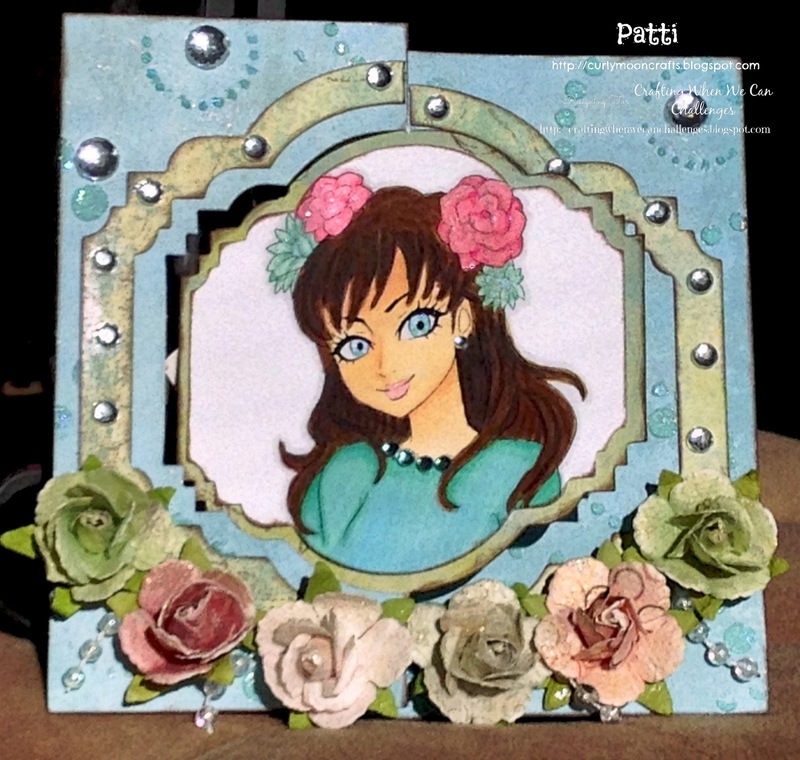 My creation for this week is a flip card using the lovely Ornaments Flowers on Hair digital image. I printed the digital image onto smooth white cardstock and colored her with my Spectrum Noir markers, using colors that matched the papers I chose. I used the Majestics Flip-Its die to create my card base, then used a circles embossing folder and embossing paste colored with Distress Inks on the paper to enhance the texture. 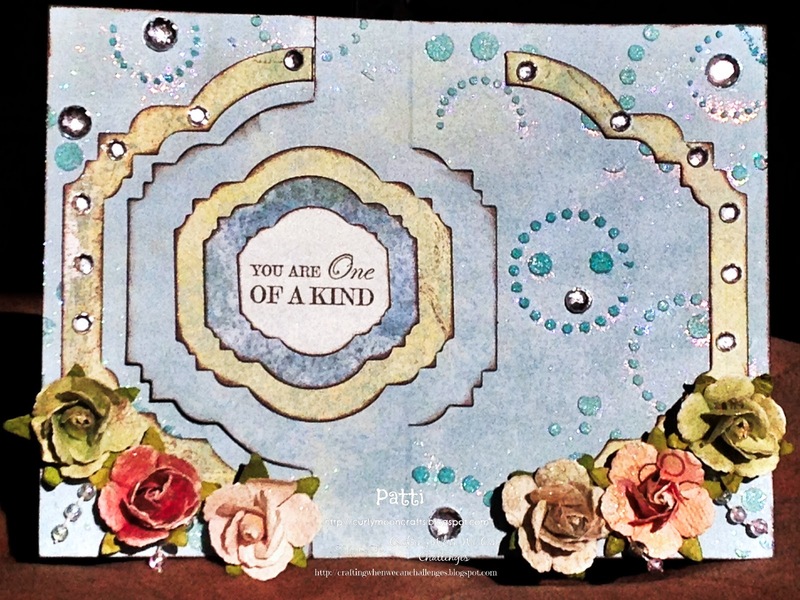 I added some sparkly embossing powder and heat set it to add some glimmer to the embossed areas. I used the coordinating Majestic Framelits dies to cut the image, frame, and sentiment labels, then used brown chalk ink to edge all of the papers. After I adhered the background papers and labels, I added and colored the earring and necklace gems using the same SN markers, then used the clear SN Glitter brush pen on the flowers in her hair. I stamped my sentiment on the smallest die-cut paper and added it to the inside flip of the card. To finish, I added some paper flowers accented with LSG sprays, some gems around the frame, and some pearl string beads around the flowers. I love these Flip-It cards - they are so much fun! Labels: CWWC, dies, LSG sprays, mixed media, Spectrum Noir markers, Stampin' Up!